Call us on 01 620 4965 or 087 389 9556 for all upholstery needs! Sofa Plus Upholstery was established in Crumlin in 1994 and moved to their present address in 2010. We are a family run 100% Irish owned company with over 25 years experience in the furniture trade. We have been reupholstering furniture since 1983 and in 1994 we went into manufacturing end of the business. We only use timbers, foams and accessories from Irish companies. Repairs to framework, springs etc. 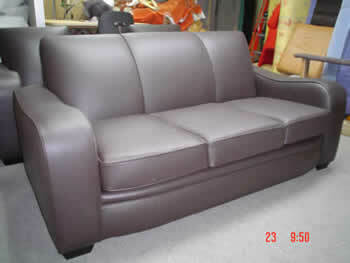 Cushions replaed or repadded, zips replaced, repairs to leather sofas. The above service is available for domestic, commercial and trade industries. We pride ourselves in our manufacturing capabilities. We have all top of the range machinery to manufdacture your frame from raw timbers. We only use beech in our frames. After years of listening to our customers that they can never seem to find a trademan or tadesmen won't show up we decided the way forwad was to do it all. Having your furniture custom made is exactly that, like going to a tailors to have a suit made - furniture to fit you. If you want a sofa to stretch out on, or a sofa to fit into an alcove. 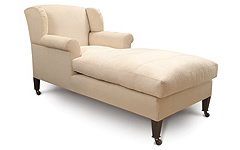 Whatever the dimensions whatver the style here at Sofa Plus we will make it for you. A higher back, a lower arm, a shorter depth whatever the case no problem. 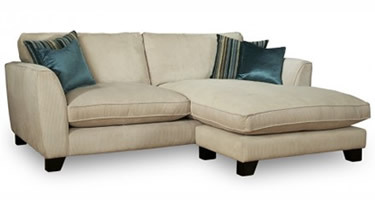 We offer a no obligation call out to your home to measure where you want the new sofa to go. We will brng fabric, swatches and designs of all our furniture so you can choose from the comfort of your own home. No more trekking around furniture shops just come home and say too big too small it won't go through the door. Let us being the shop to you. Maybe you have already seen a piece or maybe you want to sketch it out no problem. With hundreds of fabric and hundreds of designs for you to choose from. We are just a phone call away. I just wanted to email and thank your company for the amazing upholstery job you guys did on my sofa and armchair , they are stunning. I still cant believe how well they turned out , and how reasonable the price was , considering the skilled work and luxurious materials involved . the turnaround time was so quick, and your representative was really helpful at every stage , i will be recommending your company to everybody. It really looks and feels brand new , your advice and help with choosing the fabrics colours and finishes were just what was needed. I will have no hesitation in recommending your company in the future.